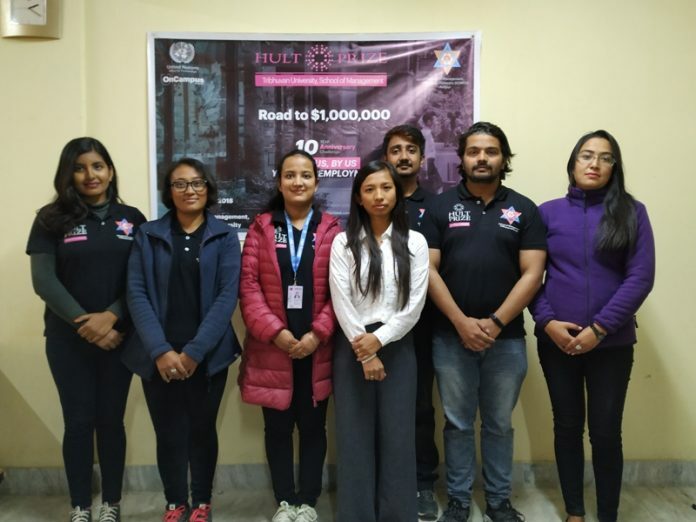 The world’s most significant student competition, “Hult Prize,” comes to School of Management, Tribhuvan University whereby students tackle United Nations “For Us By Us: The Global Youth Unemployment” Challenge. We are calling entrepreneurs to create a viable start-up and compete for $1 million in seed capital. The Hult Prize is a start-up accelerator for social entrepreneurship that brings together the brightest college and university students from around the globe to solve the world’s problem. The Hult Prize aims to launch a start-up enterprise that can radically change the world and breed the next generation of social entrepreneurs. In partnership with the United Nations, the Hult Prize is hosting college and university events across the globe in search of the next game-changing start-up. It is a global movement of student leaders that have an objective of inspiring youth to change the world through business. Student teams compete around the world for a chance to secure US $ 1 Million start-up funding to launch a sustainable social venture. The theme for this year is: “For Us By Us: The Global Youth Unemployment.” It invites ideas that can solve global youth unemployment and give meaningful work to 10,000 youth within the next decade. The past few decades have shown us the vast utilization of the principles under four categories of employment opportunities – learning, matching, sourcing and creating, through various multinational companies like Amazon, McDonald, Uber, etc. However, these categories are not exhaustive, and there can be even more creative ideologies, approaches and strategies to unite and garner the unemployed youths into an intricately woven business model, and to impart them is the primary objective of this year’s challenge of Hult Prize. This event aims to develop the internal capabilities of the students and transform them into the change makers solving the world’s problem as stated. We, thus, believe that this is a tremendous opportunity to be involved in developing competent future global leaders from Nepal. 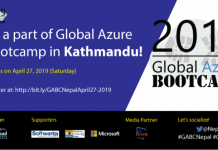 Hult Prize at TU, SOM Final Event is a platform for students of Tribhuvan University to earn their golden ticket to regional finals of the worldwide competition. We ask student entrepreneurs to create viable start-up centered on the theme of the Hult, and the winning team will be fast-tracked to compete at one of the twenty-six regional finals events around the world, bypassing the general application which annually receives over 20,000 applicants from more than 350 colleges and universities in over 150 countries. The Hult Prize regional competition will take place in March 2019 in 25 different locations. Following the regional finals, one winning team from each host city will attend a summer business accelerator, where participants will receive mentorship, advisory and strategic planning as they create prototypes and set-up to launch their new social business. A final round competition will take place in September 2019, where one winning team will be selected as the winner and will be awarded the US$ 1,000,000. It is a pleasure and privilege to invite all the students of Tribhuvan University to our school to participate in the “Hult Prize Competition.” We encourage dynamic, sustainable teams from different faculty for participation. We have compelling judges and partners and topping it all; students will get national investors if their idea is worth implementing. 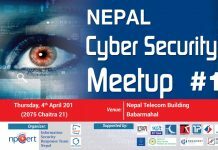 To register for the competition, fill out the form at com/Tribhuvan.